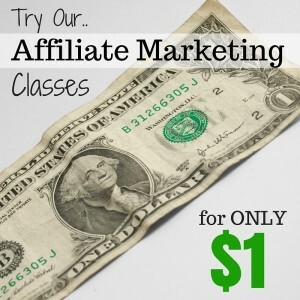 Finding the best affiliate marketing course for beginners can be a frustrating process. 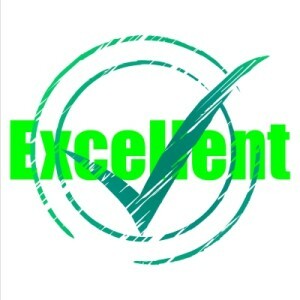 If you ask the question on a forum you probably get loads of different recommendations by people who probably haven’t tried them out or even looked at them as well as ones by people that have too. I’ve been through a number of affiliate marketing courses (too many really) to get started with internet marketing. Many were good that I didn’t implement and there were some bad ones thrown in there too. But I did implement or found some great techniques that I use now in my affiliate marketing (I’m still getting started but now have an income of $1000 plus a month from it for 4 months in a row). Presented below are the best training programs for beginners based on my buying many affiliate marketing courses – they have either helped me as beginner to move forward or can be implemented by a beginner (and I’m using to enhance my started websites). I’ve been through them all in detail to make this assessment. I’ve had the most success as an Amazon Associate so 3 of these training courses are based on using their affiliate program. This is one of newest courses I’ve bought. It is from the Pajama Affiliates. It takes you from choosing a niche, selecting keyword through to building a blog to writing your posts. It is a mixture of video and text. All of it is very good. t puts everything into context to see what’s needed to write and present content that converts well. It shows whats need to be yourself to be a success. There is also a very active Facebook group which is very helpful. The product creators are active in the group answering questions and providing help. They keep it active with accountability and other posts. It ahelps to keep you focused. This is the method that I’ve had the most success with. It involves a lot of research and writing to implement this properly. 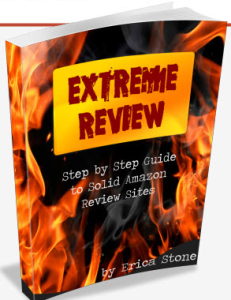 You don’t need to own the products to write some of the best researched reviews online. It is a very logical and well thought out training program, taking you through each step with clear instructions and diagrams. It is all laid out in a PDF. 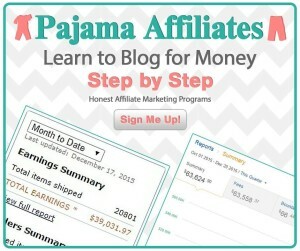 There is an example of sites that show you how to set out your blog and the type and quality of income you need. It covers niche selection, keywords, blog set up and writing a review. Writing the reviews is key to this program – it takes time and it’s not easy but you do produce reviews that visitors and search engines like. You do need to be prepared to work hard (like the other courses here) for you to succeed with this training course. There is no backlinking required it is all about the content on the site for ranking on Google. 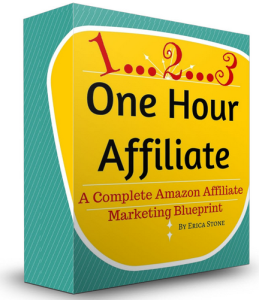 It isn’t as quick as using backlinks but there is a lower chance of being slapped and you can steadily build a solid affiliate income using the Amazon associates program. If you don’t like to write too much this is a good choice. You only need to write about six sentences per post. After you’ve paid for the course there is no need to pay for anything extra. It can all be done on a free blog if you want. There is a bit of warning with this course. Your work can sometimes be unpublished/deleted by the free blogging site if it is decided that there is an issue with what you write. That is frustrating to say the least and it happened to me. The best approach is to look at a way to learn how to write better content even if it is only 6 sentences long. Erica Stone the creator took a look at what I’d written and gave me some tips on how to improve it. She is willing to do that for anyone who emails her. My second attempt has worked and not been locked. The course has all the steps laid out in an easy to follow fashion. My daughter has started one of these blogs – her first venture in internet marketing and she did it without any help from me and had no issues. This course by Tiffany Lambert has 3 objectives – to provide an income stream from the shiny new objects you buy, make money through implementation and cure you of the addiction. 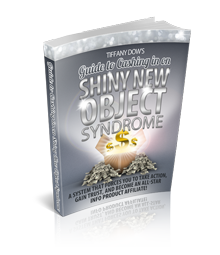 Shiny new object syndrome is the “need” to buy a new internet marketing product just because it is new to you and you think it is going to solve all your problems. Many of them seem to promise to be a “cure-all” at the time until they’re not! I’ve suffered from this from time to time. This course has helped as it gives you step by step method of overcoming the problem and make some affiliate marketing income too. It’s simple to implement but it’s not easy – you have to toughen up to get this working fully. This blog itself started as a result of the course. I’ve not followed through with it as much as I should but it has helped with me implementing the Extreme Review sites and other courses mentioned on the site. I think any one of these courses can work and my advice to myself would be to stick with one of them to see it through to making a profit and course I buy after is to improve the performance of the existing business not something completely different.